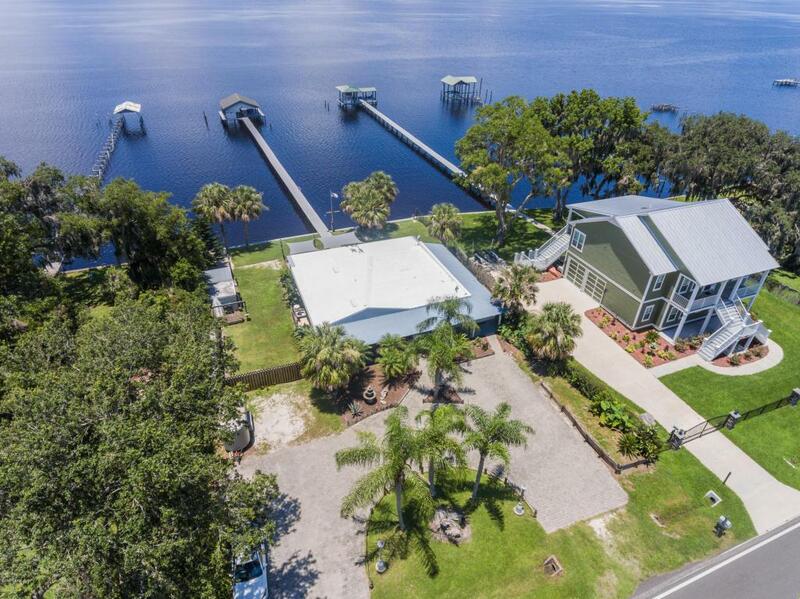 Beautiful waterfront cottage nestled on the St. Johns River anxiously awaiting for new owners. 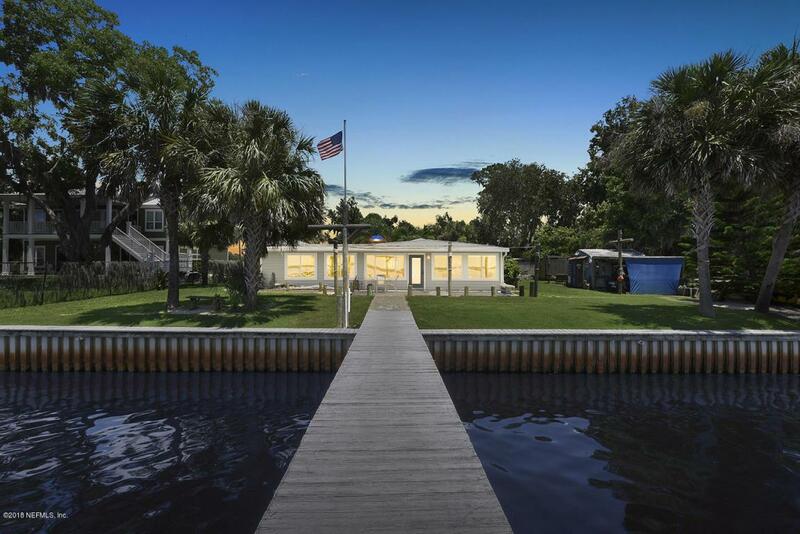 Living is easy with this updated concrete block home with new exterior paint, new AC unit and water heater, Hardie Board siding, double insulated windows throughout, a generator, and vinyl bulk head. 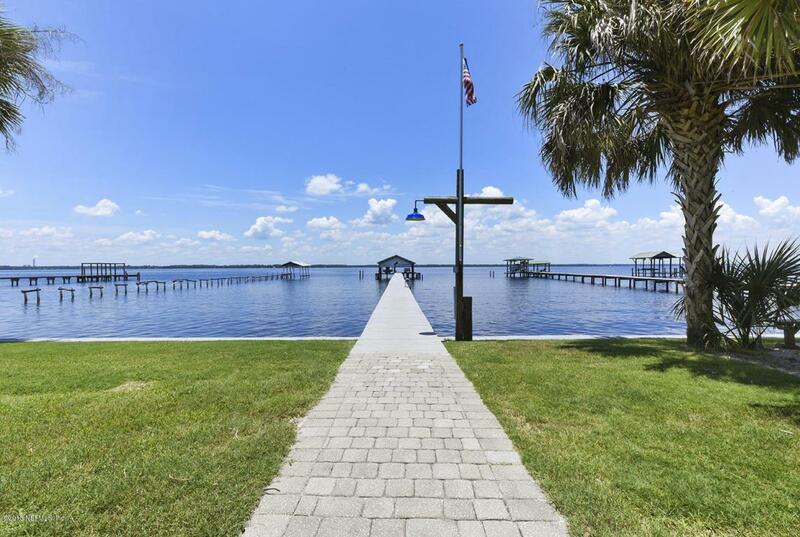 Park your boat in paradise on your own 280 ft. dock with a 7000 lb. boat lift complete with a remote control and boathouse featuring 100 amp. service and running water. 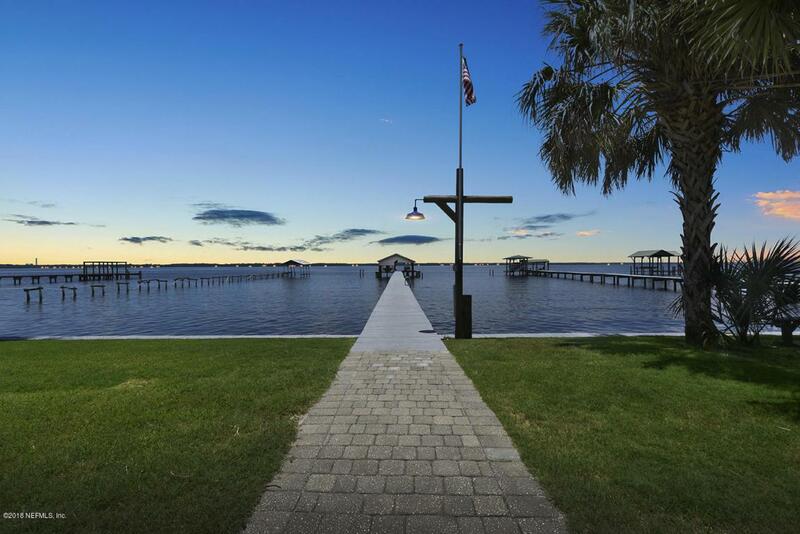 Enjoy the afternoon sunsets on your sprawling stone, paver patio overlooking the tranquil river. The fabulous circular driveway affords plenty of space for guests and the family's RV. Pride in ownership and quality craftsmanship greets you upon entering the home.The spacious floorplan encompasses hardwood flooring, solid wood kitchen cabinetry, and an expansive living room that opens up to an enclosed porch. The master bedroom, complete with a walk-in closet, ensuite, and sitting area, ensures privacy and a front row seat to the spectacular view. Perfect for everyone, there is nothing to do here but drop your boat in the water and go!